Our company provides aerosol disinfestation by hot mist, treatment with gel, installation of traps and scotch tapes. ZERO PEST pest control is services of a professional disinfestation. 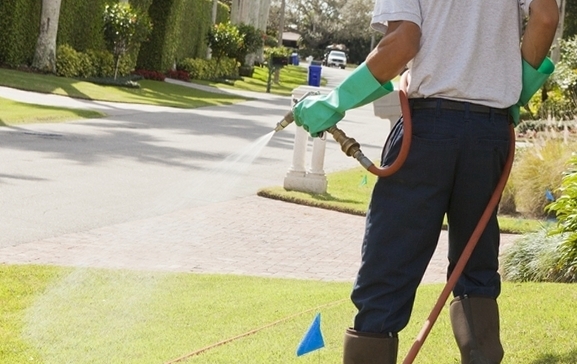 destructive pest control by the method of gassing. Multicomponent insecticides are used in pest control of insects by the aerosol method. These insecticides include substance-baits, allowing to lure insects out of hiding places, and toxic substances of long intestinal action. ZERO PEST provides services for the destruction of insects and applies such medicines as Microcyn, Diacap, Empire, Senozan, the Trap effect and the Force Site. Our chemical methods of pest control are effective and safe in application, comply with all norms and safety standards. Our center offers services of disinfestation in living accommodations, flats, cottages, public areas (hostels, hotels, dormitories, etc. ), as well as in organizations and enterprises of public catering, non-food businesses, educational and preschool institutions, agricultural enterprises. Insects have long been adapted to household insecticide means. Numerous, extemporaneous treatments lead to rapid habituation of insect to active substances and only complicate the work of their professional elimination. It means that we will have to handle this “poisoned” place with help drugs, which are more powerful with high concentration. Insects multiply very quickly. Especially bedbugs, and the longer you hold off treatment for bedbugs, the greater number of objects and items is infected until the settlement of insects under the wallpaper, sockets and so on. Do not bring the room up to the necessity of a major overhaul, call the service of destruction of insects, once detected pests. Professional destructive and preventative pest control in Dubai is our care! How Belly Dancing Can Help Improve Your Health?